PayPal, the trusted leader in online payments, enables buyers and businesses to send and receive money online. PayPal has over 100 million member accounts in 190 countries and regions. It’s accepted by merchants everywhere, both on and off eBay. Can I pay with my card without having a PayPal account? You can still pay using a credit or debit card without having a PayPal account. Just follow the checkout procedure as normal and instead of entering your PayPal details click the ‘Pay with a debit or credit card’ link. www.justvape.co.uk © 2017. All Rights Reserved. You must be eighteen 18 years of age to purchase our products. 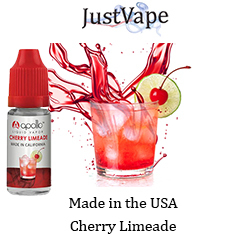 JustVape reserve the right to refuse any sale where we believe the purchaser is either not of legal age or purchasing products on behalf of a minor. We do not wish for people to form a nicotine habit. If you are not already a smoker then please do not buy our nicotine products. WARNING: NICOTINE IS A POISON. NICOTINE IS HARMFUL. KEEP LOCKED AWAY IN A SAFE PLACE AND OUT OF REACH FROM CHILDREN. IF ANY NICOTINE PRODUCT IS CONSUMED, SEEK MEDICAL ASSISTANCE IMMEDIATELY AND TAKE THE LABELED BOTTLE WITH YOU.